② Below color number list for your reference. 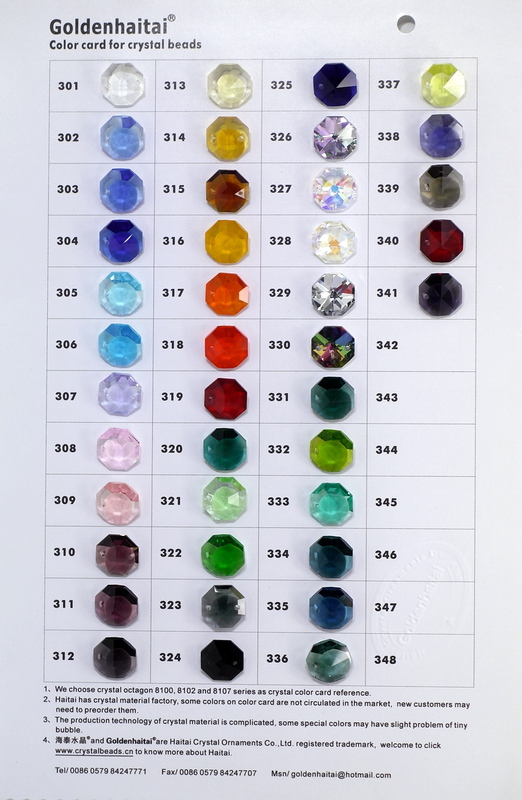 Tips: this is a color card for soft K9 material, almost all our Crystal Onaments use this material, It is marked with ② , When you browse the webpage, if there is ② in the lower right corner of page, that means this product are made of soft K9 material. Click here to download Electronic color card.